A-HOTEL.com - Luxury and cheap accommodation in Leshino, Russia. Prices and hotel, apartment booking in Leshino and surrounding. Set in Velikiy Novgorod in the Novgorod region, Apartment Volotovskaya 6 features a balcony. Free WiFi is featured. Situated in Velikiy Novgorod, Happy Weekend provides accommodation with a balcony and free WiFi. Guests staying at this apartment have access to a fully equipped kitchen. 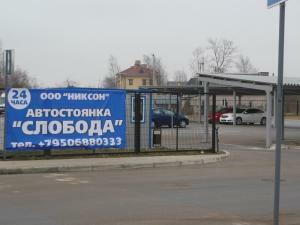 Волотовская 5 is located in Velikiy Novgorod. It has city views and free WiFi. Located in Velikiy Novgorod, Volotovskaya Ulitsa Apartment features free WiFi. This apartment comes with a balcony, sofa, washing machine and TV.